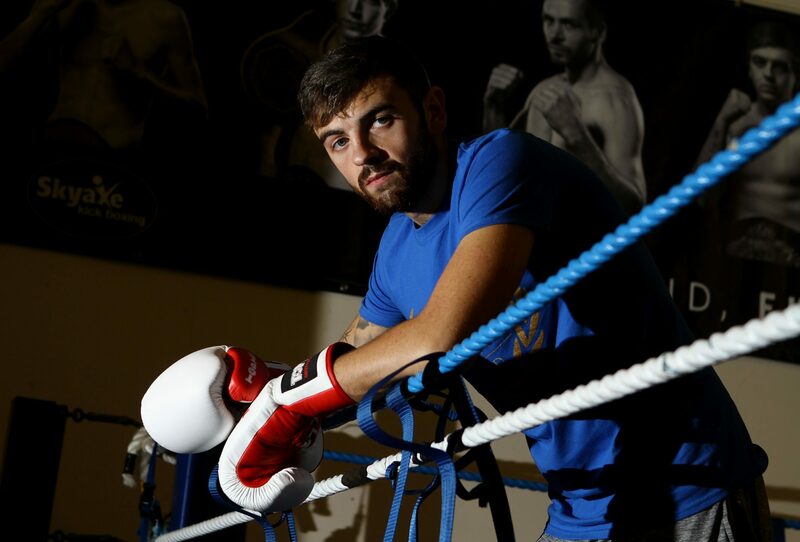 The Dundee boxer stopped Craig Kelly in the third round of their contest at the Trump Turnberry Hotel at the weekend. 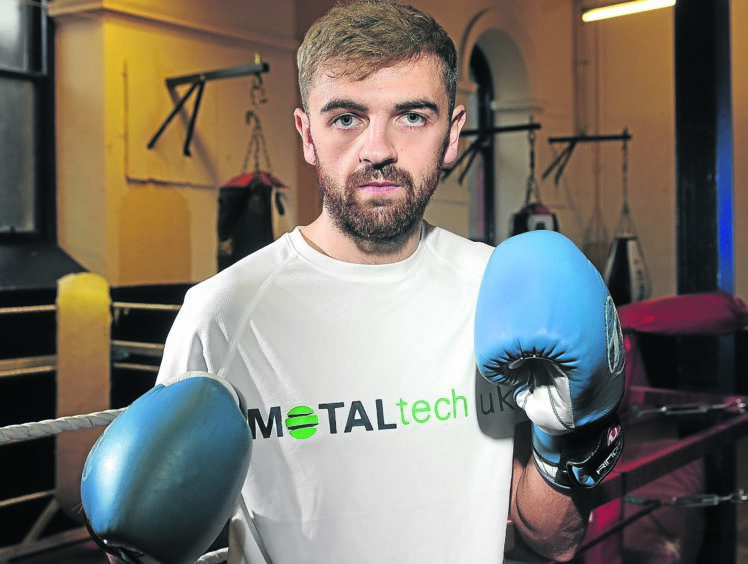 His dad Paul Snr, who runs the Skyaxe Gym where he trains, was in his corner while more than 70 friends and family including his uncle – former Dundee United player and manager Ray McKinnon – were in attendance to see him clinch his first title. Now, after a quick well-earned rest from his strict training regime, Kean has already set his sights on taking further steps up the boxing ladder. The 26-year-old said: “Becoming champion has really sunk in over the last couple of days. It has been really good. “The first couple of rounds against Kelly I wanted to show a wee bit of a different side to myself. “I have shown that I am a good skilful boxer but I wanted to prove that I could punch as well. “So the first couple of rounds, I was just planting my feet a bit more and I could see I was putting pressure on him. “We have been working on the straight left to the body and then coming over the top with the right hook. “We did it once and then he walked forward and I did exactly the same shot that we have been working on for the last couple of months. “It landed right on his chin and that was it basically – a knockout in the third round. “He has now retired but fair play to him he has had a good career and was a great lad. I wish him all the best. “I have another fight already lined up for May the 4th in Aberdeen. It is a six-rounder but I don’t know who my opponent will be yet. “I intend to have a couple of days off and I have treated myself to a few burgers already! But I will be quickly back into it. Kean added: “I have been working with a new strength-and-conditioning coach for the last year. “Adam Lusby works in the Skyaxe gym as well on enhanced sports performance and it has taken me to a whole new level now. “My power has doubled, even with the weights I am lifting and things like that. “Everything is done correctly and my diet is also on point with help from Scran Fitness Food and Harry Ogg from Muscle Xcess. The only defeat of Kean’s professional career so far came when he was outpointed by Stefan Sanderson in September, last year, in what was his first tilt at the title. The Dundonian admitted though that he and his team had taken valuable lessons on board after the loss. He said: “Definitely. A few things went wrong in the build-up to that fight. “But we have learned from that and made changes. “My diet, strength and conditioning is on point now. So everything is better. Kean admitted he was extremely grateful for the backing he received from his fans on the night as well as his main sponsor. The boxer added: “My wife, mum and my sister were there along with another 70 people from Dundee. “My main sponsor Metaltech and Wattie Milne actually sponsored the event. “They have allowed me to train properly without having to work as well which has been a great help to me.